Thank you for visiting Alaskan Book Cafe. I hope you enjoy your visit. I read a variety of genres. I am also open to participating in interviews and giveaways. I accept both print and eBooks. Reviews will be posted to this blog, shared on Facebook, and Twitter. I will post the same review on Goodreads, Amazon, Barnes & Noble and Smashwords as applicable. If you would like an additional site , please inform me. I may pin books I am interested in or have reviewed on Pinterest. I use the social media of Facebook, Twitter, Google+, Pinterest and Instagram. I participate in many readathons. Books may be on social media with hashtags associated to the readathons. All review requests are important to me. I cannot guarantee that all requests will be accepted. You are encouraged to share my review, however Alaskan Book Cafe or my name must be included. It is to be understood that my reviews will be my honest opinion and may not always be positive. Sending me your book does not guarantee a favorable review. I do not charge any fee or expect compensation for books I review. However you are responsible for all cost of getting the book to me. This includes the cost of shipping and handling. Alaskan Book Cafe is not responsible for lost or misdirected mail. Please understand if you choose to ship a book to me and it is lost in transit or never received I can not be held liable. I do reserve the right to refuse any book for any reason. If you would like to know the reason, please ask. No exact date of review will be promised. If you have provided me with an ARC, I will not resell your ARC. I will not giveaway an ARC if not granted permission by the author/publisher. I will work with you for a date you would like the review published. I do not contribute to or partake in ARC piracy. Thank you for considering me for the review of your book, interview with an author or a giveaway. I am honored. I began reading at age 3 and haven't stopped yet. The first book I read was Barney the Beagle, still a favorite. I hung out a lot at local libraries and can now be found around town with Kindle in hand. I participate in readathons. I collects cookbooks and faeries, enjoy cooking, sewing, hiking and movies. Much like my reading habit of giving any and all books a chance, I will watch any movie that catches my attention. Favorite shows include Walking Dead, Sons of Anarchy, American Horror Story and Spanish novelas. I love my family and friends, East Kentucky and Alaska. On a blind double date my best friend Yolanda set my hair on fire. I chose the name of the blog because I like to read while drinking coffee in Alaska. I like to laugh so sometimes I might come across kind of snarky. No harm is intended. My main reason for the blog is to talk about books I have read as well as ones I am interested in. I like to read from a variety of genres. I love to read and respond to comments. Especially if you have read the book mentioned. I have lived a varied life. I have a wide variety of interest. Some of that may find its way into my blog. No offense is intended. My thoughts and opinions come from my experience. It may be different from yours. It makes neither of us exactly right or wrong. It is what it is. Hopefully we can learn from each other. Some of my content may have bad language. Sorry but some of the books I read have it and I don't censor.Unless it is a picture taken from my own camera all cover photos come from either the author, publisher or goodreads. com. 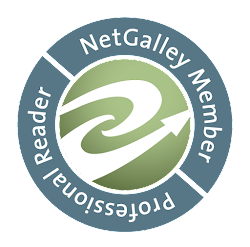 The books I choose to review may be ones I have purchased, won in a giveaway, borrowed from the library, from the author or received through NetGalley. I do not get paid to write reviews. Regardless of where my books came from, the reviews are honest and fair based upon my feelings and thoughts of the book. Comments that are bullying in nature or spam will be removed. You can disagree with me and if it is respectful, your opinion will be accepted. Being different is awesome. Name calling, threats and such are not considered respectful. It's a blog. It's mine. Keep it friendly.